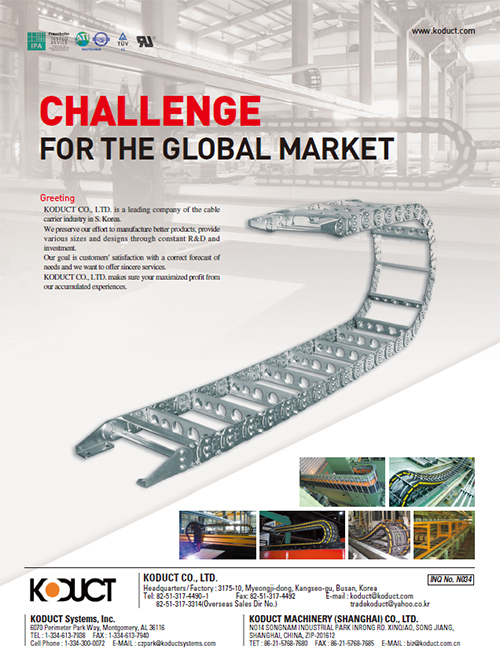 KODUCT CO., LTD. is a leading company of the cable carrier industry in S. Korea. We preserve our effort to manufacture better products, provide various sizes and designs through constant R&D and investment. Our goal is customers' satisfaction with a correct forecast of needs and we want to offer sincere services. KODUCT CO., LTD. makes sure your maximized profit from our accumulated experiences.